The Klaustur Char is raised in crystal clear spring water that has been filtered through layers of natural lava rock, having originated from the Vatnajokull Glacier.. Some great recipies for char. Weight is between 600-1000 g with a fat percentage of 8 - 12%. Fillets packed in insulated boxes with freezable inserts. The units weigh between 10 and 16 kilos. 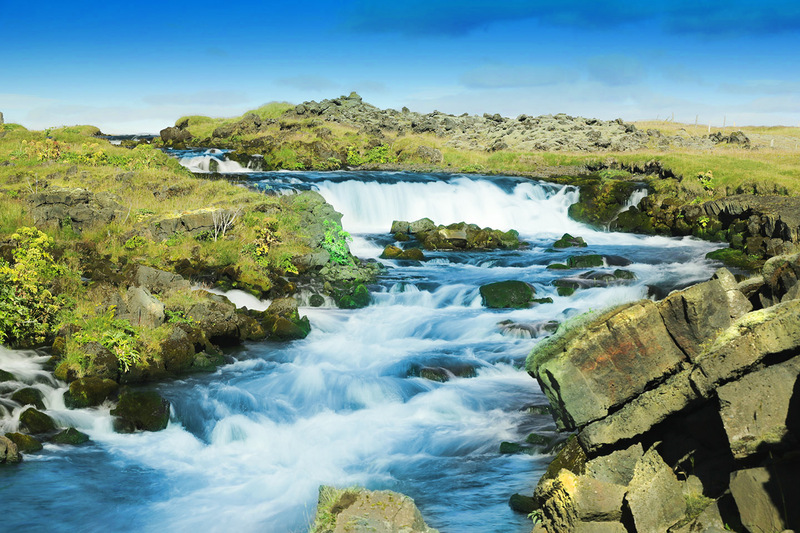 The South-West of Iceland is renowned for its natural beauty, mild weather and unparalleled outdoor activities. A number of Icelandic landmarks are near. "Klaustur Char has a firmness to it, and a rich flavor, and a beautiful texture. That makes it top quality Char." Völli Snaer at Hotel Borg is best known for coming up with ingenious and delicious new dishes. Sigurdur Karl Gudgeirsson, better known as Siggi San, studied the culinary arts at Perlan Restaurant in Reykjavik. Siggi San studied Sushi in Denmark under the guidance of Isao Suzuki. Siggi has focused on the art of Sushi and held popular courses for Icelandic Chefs. He is the founder of SuZushii which has been voted the best Sushi Restaurant in Iceland for three consecutive years. Aegir Fridriksson is an award winner for culinary arts and recognized Master Chef both in Iceland and abroad. Aegir studied at Hotel Saga and later worked at Picnic & Restaurante ME in Barcelona. Today he is the Head Chef at Salt Restaurant in the Hotel Reykjavik Natura. Two of the largest glacial rivers in Iceland are generated from the highlands off the Vatnajokull Glacier. The Klaustur Char fish farm is built on one of those old river beds. Fresh water flows up to the surface and form free flowing streams that are ideal to cultivate fresh water fish such as the Char. The South-West of Iceland is renowned for its natural beauty, mild weather and unparalleled outdoor activities. A number of Icelandic landmarks are found a short distance from Kirkjubaejarklaustur – places such as Lakagigar, Eldgja, Skaftafell and Vatnajokull. Get our newest updates by signing up to our newsletter below.